Editor’s note: This story has been updated to reflect another lawsuit that was filed today. Four different lawsuits were filed this morning in Wake County Superior Court over the constitutional amendments that are expected to be on the ballot this November and the legislative veto overrides from the weekend. Chris Anglin threatened to sue lawmakers last week if they voted to override Gov. Roy Cooper’s veto of Senate Bill 3, which retroactively requires a 90-day voter registration party affiliation for judicial candidates. Lawmakers initially removed that requirement when they eliminated judicial primary elections this year and made all judicial races partisan. It wasn’t until Anglin switched from a Democratic affiliation to Republican and then threw his hat in the ring for a state Supreme Court seat that they came back and changed the requirement again but to apply retroactively. Anglin, who is challenging Republican incumbent Barbara Jackson and Democratic candidate Anita Earls, can still appear on the ballot under SB3, but he will not have a party label next to his name like the other candidates. Anglin states in his lawsuit that he is being deprived of his right to appear on the ballot as a Republican. “[SB3], as applied to plaintiff, arbitrarily and capriciously prevents Plaintiff from having the equality and rights bestowed upon others similarly situated, namely his opponents Barbara Jackson and Anita Earls, insofar as they are not barred from running as a candidate of their chosen political party,” the suit states. The measure also infringes on Anglin’s right of political association, a component of free speech, according to the lawsuit. He points out that his right to run as a Republican at the time of candidate filing was established by statute and paid for, as required to run for election. Anglin notes in the suit that he has to decide by Wednesday whether he will remain on the ballot without a party label or if he will withdraw from the race altogether. Given that fast deadline, he is asking the court to prevent SB3 from taking effect. A court hearing over Anglin’s motion for a temporary restraining order is set for 2:30 p.m. today in courtroom 10A at the Wake County Courthouse. Hearings are open to the public. 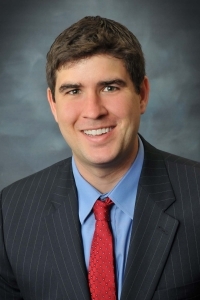 Anglin is one of four total judicial candidates affected by SB3. You can read his full lawsuit here. Wake County District Court candidate Rebecca Anne Edwards, who changed her Republican registration to Democratic on May 30, also filed a lawsuit over SB3. It states that Edwards first registered to vote as a Republican when she was 18 years old, but that over the past several years, she has increasingly supported Democratic causes and candidates, including the election of Gov. Roy Cooper. “Although she is troubled by the level of partisanship at all levels of government, she has considered herself a Democrat for the past several years and believes that the Democratic Party best reflects her political positions,” the lawsuit states. Edwards, like Anglin, is asking the court to enter a temporary restraining order enjoining SB3 and to rule it unconstitutional as it applies to her. You can read the full lawsuit here. Her case will be heard at the same time as Anglin’s. 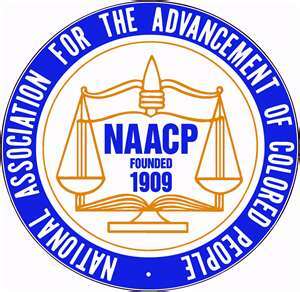 The North Carolina NAACP and Clean Air Carolina filed a lawsuit Monday over four of the six constitutional amendments expected to be on the ballot in the upcoming election. The advocacy groups are seeking an immediate temporary restraining order and preliminary injunction to stop the proposals from appearing on ballots set to be finalized Wednesday, according to a news release. The lawsuit is over these four amendments: voter identification, boards and commissions appointments, judicial vacancy appointments and tax cap. The groups, like Anglin, ask the court for a temporary restraining order to enjoin the amendments from appearing on the ballot. A hearing is set for 10 a.m. tomorrow, with the exact courtroom to be determined. The amendments are one that would transfer Cooper’s powers to appoint to state boards and commissions to the General Assembly and the other would strip him of the ability to appoint judicial vacancies. The lawsuit states that when North Carolinians see the two amendments on the ballot, they won’t have an accurate description of what they’re voting on. “Rather than allow the voters to make an intelligent decision whether to restructure their own state government, the General Assembly has adopted false and misleading ballot language that conceals the true — and truly extraordinary — nature of these proposed amendments,” the lawsuit states. 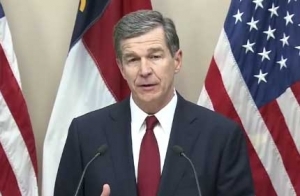 Cooper has asked for a temporary restraining order to prevent the two amendments from appearing on the ballot and for the court to rule them unconstitutional. You can read the full lawsuit here.